The game was shut down at the end of last year but fans are still talking about it. Will 'Marvel Heroes Omega' ever get a chance to return? "Marvel Heroes Omega" was a free-to-play, MMO, action role-playing video game developed by Gazillion Entertainment and Secret Identity Studios that was released back in 2013. I didn't come upon it until it's release on consoles in 2016, at which time I instantly fell in love with it. It was a "Diablo" style play experience except that I got to play as the super-heroes I loved, like Punisher, Daredevil, and even Blade! You would level up your character, gain new skills, and lay waste to tons of enemies all while collecting all the loot you could carry! Crafting, missions, and appearances from classic Marvel villains appeared as bosses in this dungeon crawling experience! On November 15, 2017, Disney announced that it was ending its partnership with Gazillion Entertainment and that the game would be shut down. About this time, the video game was removed from the PlayStation store and only players who had previously installed it would be able to continue to play until the servers were taken down. Several weeks of developer updates went unanswered and around the release of "Thor: Ragnarok," in-game move tie-in content was never released. 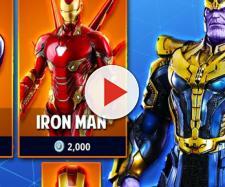 On November 27, 2017 "Marvel Heroes Omega" was shut down, more than a month before originally scheduled, leaving many fans confused and outraged. I had found out when attempting to introduce a friend to the game, and not being able to log into the servers. I thought this was a fantastic blend of comics and action RPG elements that would have, and could've continued to be successful, especially with recurring movie tie-ins and new updates. Can we get something like this again? With Disney pulling the plug with the developers, would there ever be another opportunity for a game like this to flourish? With Marvel now being a part of Disney, they would have to give the okay for the rights to be used in a video game. Could there just have been bad blood between Disney and Gazillion Entertainment? Will there be another company that could come in a produce another game like this? Mixing and blending genres like this is an incredible feat and can reach a myriad of people. Fans of comic Video Games or the classic action RPG genre come together in projects like this. If we never see this particular game again, I truly hope we can get another product similar to this great title. Hopefully, Disney can partner with some game developers and make something that's really special.